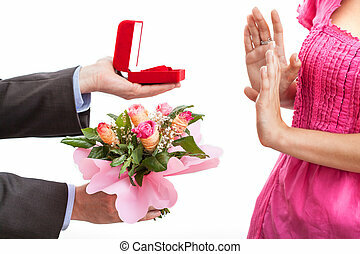 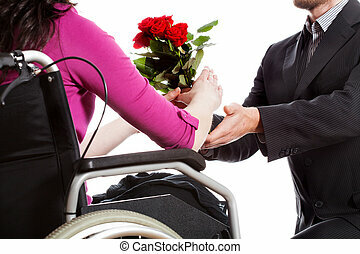 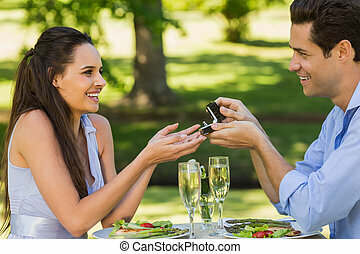 A man proposing. 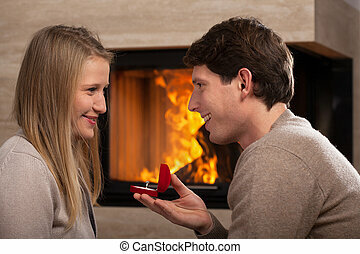 A middle age man proposing to his girlfriend, kneeling on the floor, she in a red dress, looking surprised and he is putting the ring on her finger, for white background. 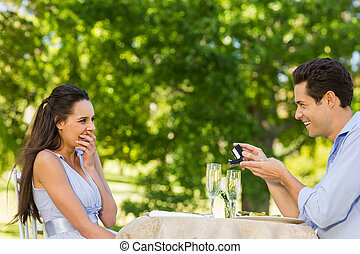 A middle age man proposing to his girlfriend, kneeling on the floor, she in a red dress, looking surprised and he is putting the ring on her finger, for white background. 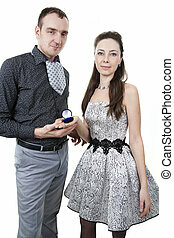 Relations of the loving Couples in Solemn Clothes on a white background. 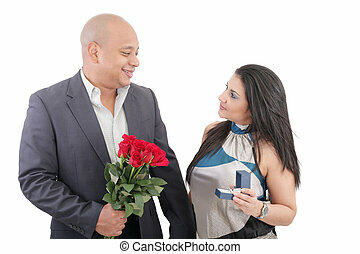 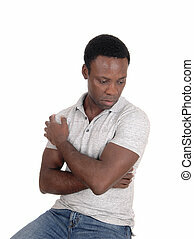 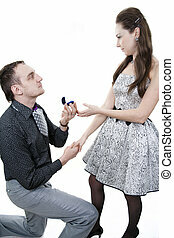 A man kneeling on the floor holding up a ring and proposing to his girlfriend, isolated for white background. 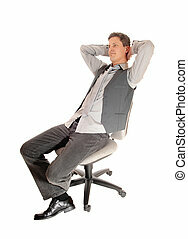 An business man in a shirt and vest sitting in a office chair, leaning back with his hands behind his head, isolated on white background. 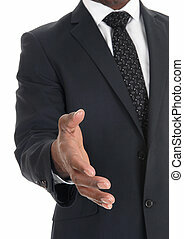 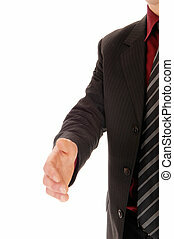 A closeup picture of a man's hand outstretched, greeting someone, isolated on white background. 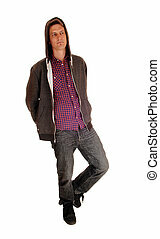 A full body picture of a handsome young man in a hoody and jeans, isolated for white background. 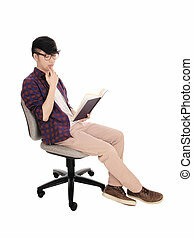 A young Asian man sitting in a checkered shirt and glasses, reading in a book, isolated for white background. 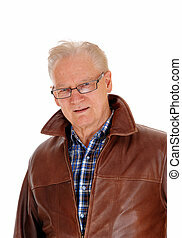 A portrait image of a handsome older man with glasses and a brown leather jacket, isolated for white background. 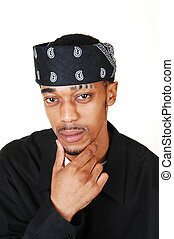 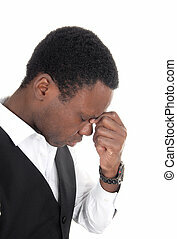 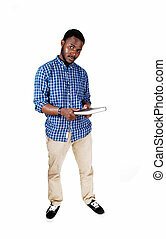 A protract picture of a black man in a blue shirt standing and holding a book in his hands, isolated for white background. 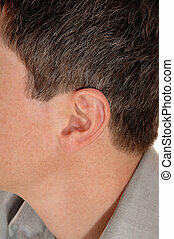 A closeup picture of the ear of a young man with brown hair and a grey shirt. 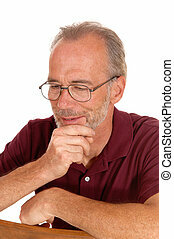 An older man sitting on a chair with his hand on his chin, thinking, with glasses, isolated for white background. 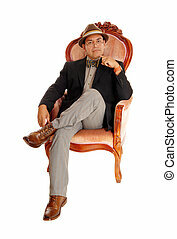 A Hispanic man with a bowtie and hat sitting relaxing in a armchair, looking into the camera, isolated for white background. 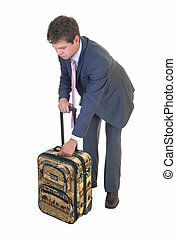 A young businessman in a blue suit going on a trip fixing his suitcase for white background. 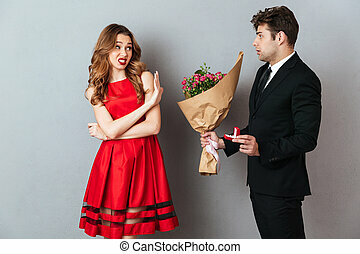 A middle age woman in a red dress is kneeling on the floor and a man standing before her, holding her hands, for white background. 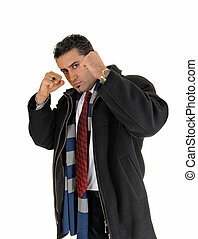 A young handsome man in a black coat standing for white background with his fists up looking for a fight. 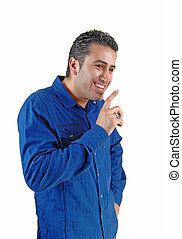 A young handsome man in a blue shirt smiling and talking for white background. 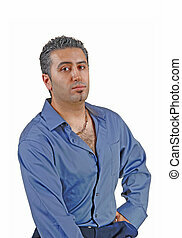 A young tall man standing for white background very relaxed with his arms grossed. 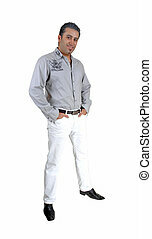 A young handsome man standing for white background very relaxed looking into the camera. 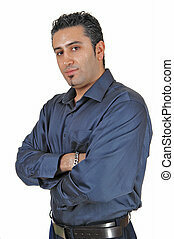 A young tall man standing for white background very relaxed with his arms crossed. 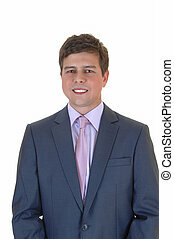 A young businessman in a blue gray suit and tie standing for white background. 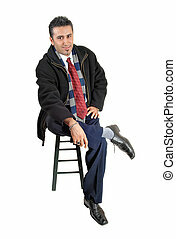 A young businessman sitting on a chair and looking relaxed, for white background. 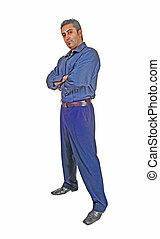 A young tall man standing for white background very relaxed with his hands in his pocket. 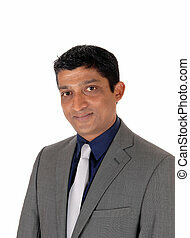 A portrait picture of a handsome young man looking in to the camera for white background. 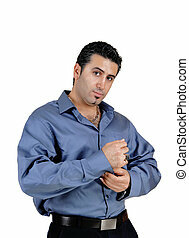 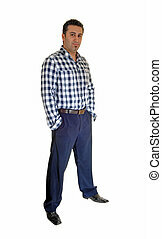 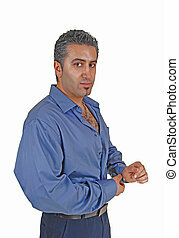 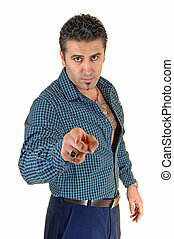 A handsome good looking man in a shirt, pointing his finger ahead, for white background.